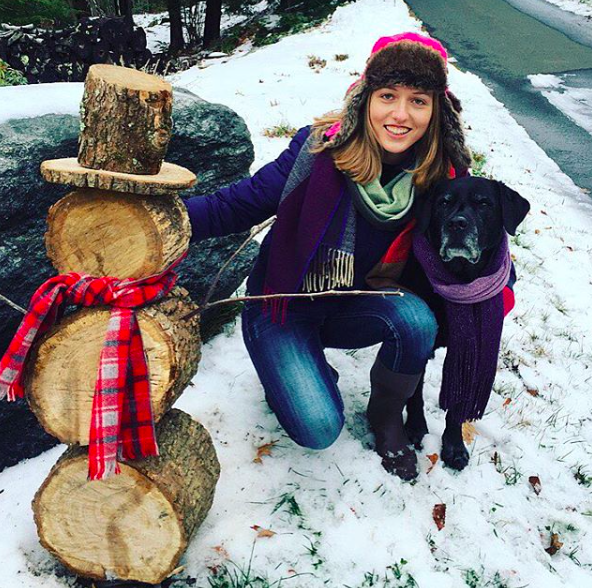 From creating a parody advice pamphlet featuring her dog dressed as an old fashioned woman, to building a life around the beauty of the little moments both good and bad, to recording an extremely eloquent, poised, and moving video of why she chose to be more than Lyme, this girl can not only change the way we view this illness, but the way in which we approach the hardships and set backs, good moments, bad moments, and hilarious moments that go along with it, always working towards a life forever more than. 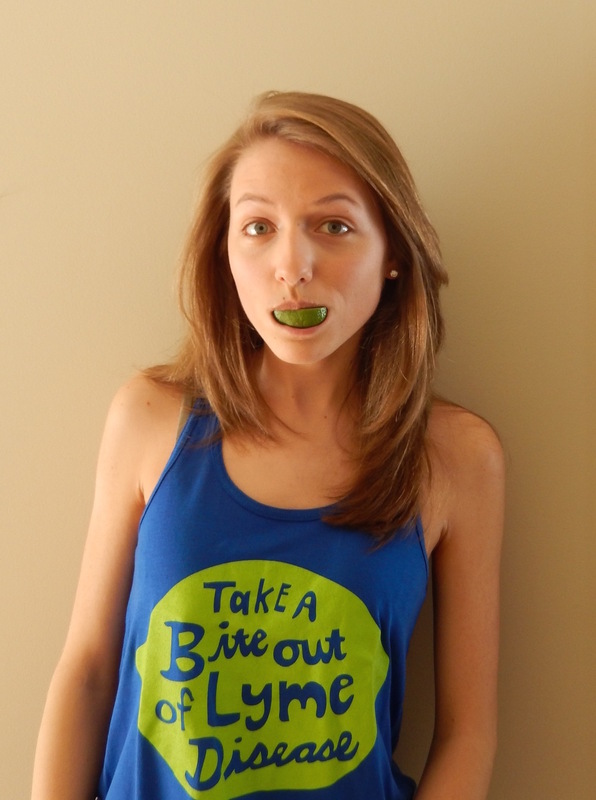 She leads with authenticity, wit, laughter, hope, family, and community - not Lyme. Emily has never been one to dwell on the negative, but when those moments come where she needs to allow herself to feel whatever it is she needs to feel, she does not hesitate to do so, and that in itself is a tremendous and extremely challenging thing to do. *Exclusive Video of this lovely lady at the end, and I promise you don't want to miss it! 1. (Feelings Evolved) Describe how you saw yourself before being diagnosed with Lyme, during the process, and after living with the disease for awhile (present day). Have the feelings towards yourself changed over time? If so, how? Emily: Maybe it’s the Lyme brain fog, or just how the passage of time affects memory, but it’s hard for me to remember exactly how I saw myself before Lyme, as if the person I am now and the person I was then are different. When I was first diagnosed with Lyme, I remember it felt surreal. I was relieved to finally have a diagnosis and I felt greatly impacted, but strangely detached, by hearing that I had this hard-to-treat disease. I could see the weight that this disease had, and all the implications that came with it, but I couldn’t feel it yet. I was too focused on NOT letting Lyme become my identity that I overcompensated. While under treatment, I stayed in college as a full time student, I kept my job, and I left to spend a full year in Germany through a study abroad program. It’s hard for me to determine if my feelings towards myself changed over time, because I feel like the same person, just with different experiences that have affected how I make my choices. I am continuing working towards achieving a better balance between not letting Lyme become my sole identity, and allowing myself to acknowledge and share its presence in my life. It seems almost counterintuitive, but now that I’ve been living with Lyme for a while, I feel even more focused and in touch with myself than ever. I’ve had to put off actively working towards some of my goals for the time being - namely, getting my college degree, planning for the future, etc. - but I feel even more confident and sure of my goals and intentions, and the fact that they WILL happen. 2. (An Active Mind) When you're feeling at your worst, where do you pull inspiration from, and how do you keep yourself moving forward? Emily: Right now, for the first time ever, I have the gift of space and time to allow myself to feel my worst and just be without pushing through to complete that essay or go to that class. So first and foremost, I pull inspiration to keep going from the excitement – honestly! - and freedom that comes from knowing that I can lie on the couch all day if I need to – and there will be no consequences tomorrow. I won’t have to stay up later another night to finish an assignment to compensate for the time lost today, or have more on my plate for the rest of the week because I’m behind on my schoolwork. I also pull inspiration from Instagram. I created an Instagram account specifically for my Lyme journey at a point where I felt particularly isolated. I have recently opened that account up to also include people that I know in my real life – weird how that works, right? – but it served and continues to serve a role of community, inspiration, and empowerment. When going through any sort of crisis or difficult period, I believe that one of the most important coping and healing strategies is to know that you are not alone. Being able to read about, share with, and connect to other chronic illness fighters helped me immensely. I love how we are all able to encourage, empower and uplift each other, and I am so grateful for the people I have gotten to know as a result. The last thing that inspires me is remembering the big picture. Sometimes if I think too much about the big picture, it can be overwhelming (see question #4), but I pull inspiration from all of the brave souls fighting Lyme right now. While we are fighting to be more than Lyme in the face of so many challenges, we’re also paving the path for future Lyme patients, so that hopefully they won’t have as hard a time getting the medical, political, and financial awareness and options they need and deserve. While it can be incredibly rough, we are the pioneers of chronic Lyme disease, and with each doctor with whom we discuss our symptoms, each vial of blood that is drawn for testing, each insurance agent that we argue with in an attempt to get our medical bills covered, we are raising awareness and fighting for more: more awareness, more funding, more research, more reliable and successful treatment options. 3. (Creativity) It's important that we keep doing what we love while fighting Lyme, even if it is that much harder to do. What are some of your favorite ways to tap into your creativity? And how do you think these creative outlets have helped you heal? Emily: There wasn’t a time in my childhood that I wasn’t creating something. In recent years, actively being creative has definitely decreased for me. I’ve been enjoying using my creativity again – sometimes in standard ways, other times in completely random and lighthearted ways. One of my favorite ways to tap into my creativity is with humor. I’ve shared some of these random and humorous happenings on Instagram. I’ve always loved writing as well. Sometimes I actually write out my own thoughts, and I’ve thought about starting a blog, but usually I’m writing out (or, narrating in my head all day) certain stories or narratives. Maybe one of these days, I’ll do something with these thoughts. I also occasionally do photography, collaging, and sewing. I’ve made a few movies in the past few months, including a music video of my dog, and I’ve written, photographed and even had printed a parody advice pamphlet featuring my dog dressed as an old fashioned woman. No, I’m [unfortunately?] not kidding. Best use of my time yet. I played the flute for 10 years, and also used to play the piano. Playing music hasn’t been a part of my life at all in recent years, but I’ve been working on getting back to it when I feel inspired. I’ve always loved to create and bake in the kitchen, and that’s something that I definitely still do a lot of today – although I suppose the dishes I make now are a bit less creative than they once were, since now they are actually much more edible. All in all, these creative outlets have helped me heal because they’ve given me a purpose, process or end result that is greater than or entirely separate from Lyme. 4. (The Reality of it) When you're feeling your worst, what goes through your mind? What emotions take over, and how do you feel? Then, the hardest part: how do you overcome the pain, reminding yourself that you're worth the fight? 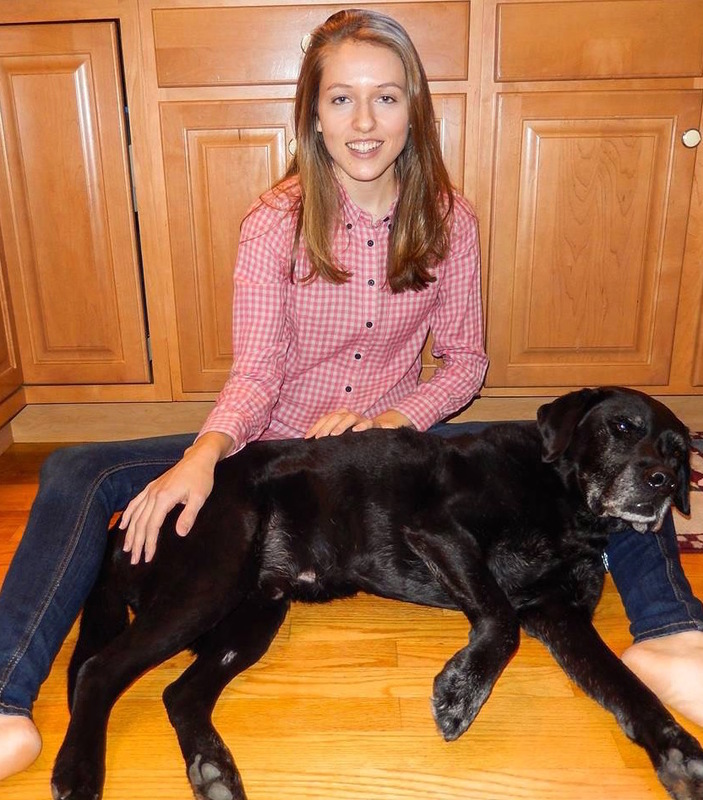 Emily: Most commonly when I feel my worst, it’s because I am so over fighting this disease. I want to be done with it. I don’t mean that during my good times, I want to be fighting this disease – but there are times when I am more over it than usual and I don’t have the energy to find inspiration to keep going. There are times when I am just done talking about it, seeing doctors all the time, always being poked and prodded at, hearing “I don’t know” from a doctor for the thousandth time, and having Lyme be something that I always need to think about, plan around, figure out the best way to present it to others without having it be all I talk about, etc. In these moments, I am tired of this being my reality. I think of all the people out there who get bitten by ticks and nonchalantly pull them off and think they are moving on with their lives. I think about how mosquitos have been found to also be carrying Lyme. I think about how as of now, we have no absolute way to control not getting Lyme, no complete and comprehensive testing for it, and no sure-fire effective and accessible treatment for it. Ever since I took a medical leave from college, there are no day-to-day stressors constantly demanding my attention, so aside from the physical symptoms, feeling my worst now often comes with fears and worries about the future. On a personal level, my greatest fear is that with Lyme, at least with the treatments I know of, I can’t be ‘cured’, I can only go into remission – so I fear that when the time comes that I am able to get back into gear with the life that I want – getting my degree, a job, what have you – that Lyme will come back. I don’t want to be always in the cycle of laying low, feeling better, going back to the life I want, then feeling worse so needing to step back again. It doesn’t help to know that what Lyme decides to do is out of my control. Sometimes, I don’t want to work on adjusting and managing my expectations and goals. Additionally, with whatever treatment I choose, I don’t want to be permanently destroying my body while I’m trying to help it heal. It’s discouraging that years of various therapies haven’t made a difference yet. It may sound simple, but one of the ways that is sometimes most effective to overcome the pain is to just let myself feel it. Sometimes instantly thinking of all the positives, or the big picture behind it all, or the great things to come can be counterproductive for me. Often those techniques work – but there are also times when I just need to let myself acknowledge and feel that yeah, this moment is really difficult. I know it will pass, and that I’ll regain stamina to stay in the fight – so I just allow myself to feel that frustration, despair, or upset. Additionally, the easiest and most effective way that I overcome and keep going is to simply take things one step at a time, day by day. Some days, I simply can’t even begin to research other alternative treatment options, because it is way too overwhelming and confusing. Some days, I’d rather ignore my own experience than use it for activism or to raise awareness. And some days, I can’t even think about my own future because I get too overwhelmed or distraught about how far-reaching, unknown, and uncontrollable Lyme is. So some days, I just need to keep myself in a little bubble within the sunshine of my own home and family. I remind myself what I’ve been through, how I feel I’ve grown, appreciate all that my mind and body are doing for me, and acknowledge the fact that I can say with 100% certainty that I am doing what is best for my health at this time. What is best for me will change with time, and I refuse to accept that this will be my forever. 5. (Change) Sure, there's the endless list of downsides when it comes to fighting Lyme Disease, but what are some of the good moments and feelings that have come of it? And how do you think those things have changed who you are today. Emily: The absolute best gift that this awful disease has given me is perspective: perspective that affects not only how I see myself and my life, but how I view life and humanity in general. Any person going through life will have tough experiences and incidents that affect them, and Lyme happens to be one of mine. Having Lyme during some of the most formative years of my life (at least that’s what doctors and adults tell me) when I’m ‘supposed’ to be finding myself, picking a major, choosing a career path, etc., often can compound and exacerbate the tumultuous symptoms and experiences of Lyme, but on the upside, I feel like I’ve gained that much more from these formative years of my life. Fighting Lyme has also given me the gift of time. It’s not common to stop one’s senior year of college and all of a sudden have a completely blank canvas – a time where there are no expectations, no tasks, just the time to focus on myself and see where the process of healing takes me. I’m not allowing myself to actively plan for my future and my next steps at the moment since I really need to fully let myself to lay low at this stage, but this current phase does give me time to imagine, dream, and think about what I really want. It’s helped me realize that there are so many options and possible paths out there, and my time off from college has the potential to be, and already has been, even more formative than my time in college. My medical leave isn’t just a gray freeze frame before I hit play and instantly return to the exact same life I had been living before; instead this is my actual life right now, where I am living, growing, connecting, moving forward, and becoming more during these times of trial, instead of just existing until whatever measured amount of time is over and I can go back to exactly what I had been doing before. Another upside of Lyme is that it cements the people that I want to be in my life: the friends and family who still reach out to me even when I don’t initiate something first, try their best to understand and be compassionate, and most importantly stay in my life because they know that I am more than this all-encompassing illness and they want to continue their relationship with me not because they pity me, but because they genuinely value me as a person and know that while my abilities and resources are currently limited, I’d do anything for them as well. I’ve lost friends because of Lyme and how hard times can naturally compound differences or drifting apart, but I’ve also gained so many new friendships. I’ve met and really connected to other Lyme fighters and I love that while we met through the Lyme community and have that inherent understanding, our conversations and friendships are built on more than just Lyme, because we ourselves are more than Lyme. Most importantly, Lyme has reminded me that I am lucky. I would definitely classify Lyme as a rough happening in my life and my family’s life, but nothing has happened to the people that I love – we’re all still here together. I’ve always greatly valued my close-knit family and how supportive and loving my parents, brother and extended family are. Lyme has only augmented my feelings of gratitude for the unconditional support and devotion my parents demonstrate for me every single day: taking time off work every other week to drive me to my doctor’s appointment, spending hours on the phone tracking down insurance claims, working long hours to keep providing for our family, understanding my needs and limits, asking questions, preparing meals that fit my specific diet, washing my hair for me since I haven’t mastered that myself yet with my PICC line, and being my personal manager, cheerleaders, supporters, and best friends all in one. It is not lost on me that I can move back home in my early 20s and truly love it despite the circumstances, because I love being with the people that I call home. It is easy to count all the negative aspects of this disease – and there are plenty. I wouldn’t endorse getting a tick bite(s) to see all the ways that it can make your life richer – but since it happened to me and I can’t change that, I am so grateful that I have the perspective to see all the ways that it has only augmented my feelings of gratitude and love for my life and the people I get to spend it with. 6. (Words of Truth) Who you are, how you feel in this very moment, but why you choose to keep fighting this crazy disease. Continue to follow Emily's journey, one cute dog adventure, witty insight, and cozy slipper photo at a time on her Instagram at, @emriiite.